Last week we posted very important information for the person who was betrayed. This week it is important to talk to the person who made the mistake of betraying their spouse. Let’s look at the most common questions. Most everyone who has had an affair asks this question, “Is it possible to recover?” The answer is absolutely yes. The way recovery happens is by you, the betrayer, coming completely clean and honest with your spouse. You have to air out all of the dirty laundry at once, without hesitation. Honesty is actually going to be the way out of this problem. To many it may seem as though telling the truth would make life worse. Actually, it may seem that way briefly, but once the shock has warn off, your marriage is more likely to recover than if you keep things a secret. Showing your spouse that you are willing to do whatever it takes after you’ve had an affair helps them recover much more quickly. Your attitude towards helping them heal will go a long way towards putting the affair behind you. If you put yourself on a short leash now, later your spouse will put you on a long leash. But if you try to put yourself on a long leash now, your spouse will put you on a short leash by being controlling, demanding, and very angry. Your spouse’s negative reactions are their attempt to try and protect themselves from further harm. Many fear that they will loose everything if they take this complete truth path, but you are more likely to loose everything if you keep things a secret. It is counterintuitive but those are the facts. Trust this process because it has worked for thousands of other people who have found themselves enslaved by infidelity. You can choose at any moment to be honest and forthright, but the longer you wait the less likely your spouse will be there to hear the truth. Time is of the essence. Don’t string your spouse along. It is cruel. What they have experienced is traumatic; the more distant you are the more emotional they’ll be. Show that you care about your spouse’s feelings and that you are truly remorseful. Let them know that you are devastated, because what you have done has hurt them. Not that you are sad that you got caught or sad that you are in trouble but truly because you have caused them so much heartache and grief. This goes a long way. Realize that your spouse will likely have trauma and will be okay one minute and raging the next wanting to leave you and then wanting to stay together. This is the most important time to look outside of yourself and realize that they are hurting and they may say and do things that are just them reacting to the hurt. 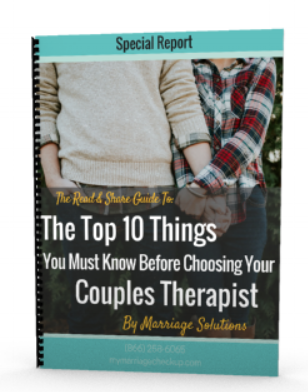 Your spouse is not going crazy and things can get better to the degree that you are there for your spouse. The truth is the healing process will only go according to how good of a “healer” you are for your spouse. Make sure you are safe. Your spouse may become a dangerous person because they are very hurt and angry. Make sure you are not in any physical danger through this process. Be patient. Your spouse will ask questions over and over until they fully understand. You will likely be answering the same questions again and again. They need to understand why you did what you did. It is often very true that the person who had the affair doesn’t know why they did what they did. Knowing “why” you had an affair can be hard for you to figure out, but your spouse will need to know. Simply replying, “I don’t know” isn’t enough. Dig deep and it will help your spouse begin to move closer towards forgiveness. Just kindly answer the questions transparently and honestly and you will make it through this. Counseling is the best way to make it through this time. Some have compared infidelity to loosing a child. You just have a part of yourself that is ripped away. It takes time to come back and join the living. Remember you can be forgiven for this. If your spouse has agreed to stay with you they want to put this behind them. They don’t want to carry around the pain or hold resentment over your head. They want to let that bitterness and resentment go. Focus on being the healer for your spouse. You can do that by being totally transparent and expressing your care for them.